During our stay in Malawi, we encountered many power outages, internet outages and had to QRT even to lightning storms. We noticed several hours each morning of zero propagation to anywhere! Most afternoons, band conditions began to improve and we frequently checked 10m & 12m. 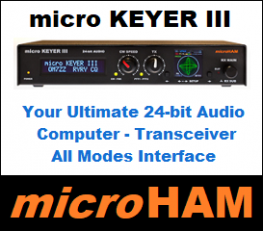 Due to our antenna design and station layout, we were able to exploit all openings and operate 2 stations on each band (mixed mode) with zero interference. FT8 proved invaluable for our LF operations. Yes, we did receive some criticism about using FT8 on 80m & 160m however due to local high noise levels, FT8 certainly did what it is designed to do and that was putting QSOs into our LF logs. CW was tried time and time again however, netted us few QSOs on 160m. Words of thanks and emails of support are coming in on a daily basis. We like to think that we gave many a new band or mode slot, no matter what continent you’re QRV from! Sincere thanks to all our sponsors. Be sure to check back our website for any further updates. Until then, 7Q7EI continues to the next stage for Powerpoint presentations, QSL design, photo sharing, website updates, etc. MARCH 30 — We are getting lots of requests for 160m CW. This will NOT be happening. Due to high local noise levels we will NOT be working CW on 160m. Only FT8 is possible. We have had some success on 80m CW and we try to maximise these QSOs each day. Yes, I’m sure it’s frustrating for the general public to be thinking that we are only working FT8 on LF, but I assure you, CW is our preferred mode (by far). There are still many ‘bugs’ in the FT8 programme but you must remember, this is still a BETA TEST which is working well for us on 160m. 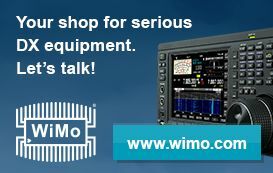 Without it, we would not be QRV on 160m at all. 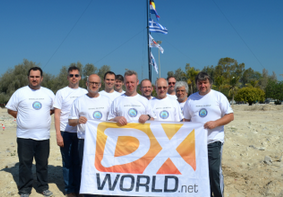 80M CW will be maximised for our remaining days – we need every QSO in or log. Other than that, I can say that our frequent electricity outages have stabilised a bit now – we hired a generator locally to power our radios, and we have now a reliable internet source. Shortly after sunrise, we have a period with zero propagation when all bands are closed for a few hours and only the Big Guns get through. A fellow DXpeditioner once told me ‘it’s the going into the unknown that makes the adventure’ and we are certainly having an adventure! 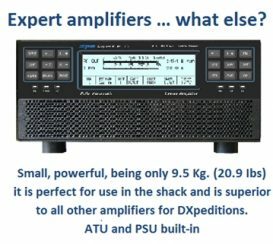 I’m confident that we’ll make the 30,000 QSOs and make the GDXF Mega DXpeditions Honour Roll. 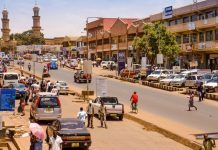 MARCH 27 – GREETINGS FROM MALAWI! The 7Q7EI team arrived as planned last Friday and immediately begun station set up to participate in the CQ WPX SSB contest. Several stations were QRV across all bands while antenna set up was completed. “We are now firing on all cylinders” reported one of the team and our first logs have already been uploaded to Club Log. Unfortunately, we are experiencing several electricity outages on a daily basis along with intermittent internet. If we suddenly disappear, please wait and we’ll be back as soon as we can! We will update with a plan for our JA friends tomorrow – we are aware of their restrictions and are trying to find a solution! Our QTH is excellent, with a full beachfront at our disposal and the whole team are enjoying large pileups. Thanks to those who have already supported our project – we will try to keep our SUPPORT page updates as often as possible. Thanks! MARCH 25 – Pictures of 7Q7EI activity by team member Steve, MW0ZZK. 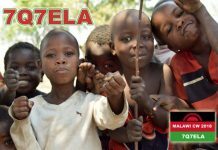 MARCH 22 — The 7Q7EI team departed Dublin and now on their way to Malawi. Follow their first flight to Ethiopia. 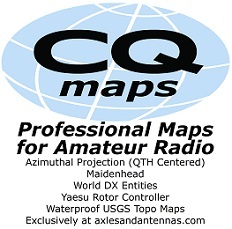 Estimated QRV on March 23 @ 22:00z.